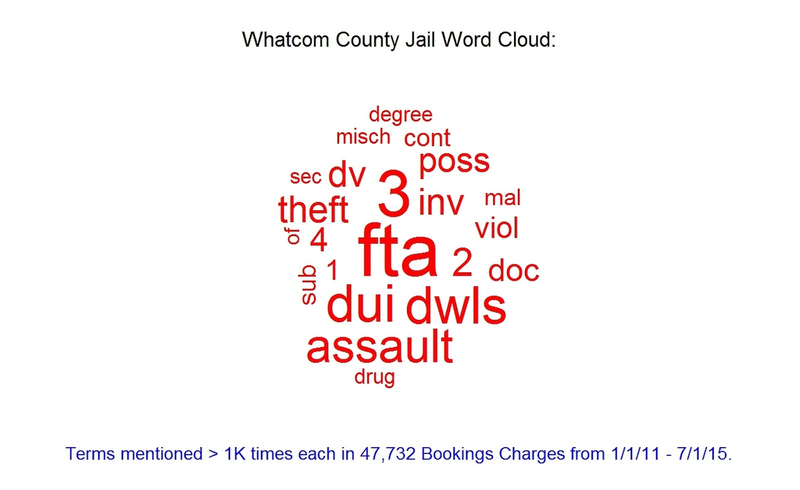 The data below in this first part of this post comes front the collected booking records of the Whatcom County Inmate Database: Press Releases. Read Ryan’s complete blog post on Bellingham Politics and Economics here. This entry was posted in Blog Post, Commentary, Data, Information and tagged Jail bookings, Whatcom County, Whatcom County Jail. Bookmark the permalink.